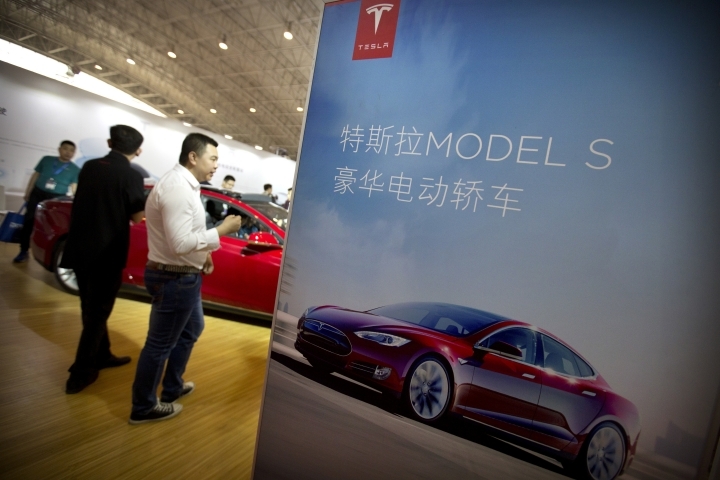 PALO ALTO, Calif. — Tesla said Monday that the term "Autopilot" was mistakenly removed from the electric car maker's website for China, but it has been restored. The company said it did revise some language on the site to make it clearer to drivers that Autopilot is a driver-assist system and not a self-driving system. Tesla has been under pressure to stop using the term Autopilot in the U.S. following the death of an Ohio tech company owner in a Florida crash involving the system. Last week, a driver in Beijing relying on Autopilot mode sideswiped a car parked on the side of the road. Tesla says the driver's hands weren't detected on the steering wheel during the crash. The company says drivers using Autopilot must keep their hands on the wheel and be ready to take over. Revisions to the language on websites have been under way for weeks to address "discrepancies across languages," the Palo Alto, California, company said in a statement. The timing had nothing to do with current events or articles, and Tesla has no plans to remove any references to Autopilot from any website, spokeswoman Khobi Brooklyn said. Tesla's Autopilot system uses cameras, radar and computers to detect objects and automatically brake if the car is about to hit something. It also can steer the car to keep it centered in its lane. The company says that before Autopilot can be used, drivers must acknowledge that it's an "assist feature." In July, Consumer Reports magazine said the company should drop the name because it gives car owners too much trust in their car's ability to drive itself. The influential magazine also said that Tesla should disconnect the automatic steering system until it's updated to make sure a driver's hands are on the wheel at all times. Tesla's system currently warns drivers after a few minutes of their hands being off the wheel. At the time, Tesla said data it collects show drivers who use Autopilot are safer than those who don't.